Even as Gujarat waits with bated breath for the results of the all important local self-government elections on Wednesday, the last three days have been harbinger of bad news for the Anandiben Patel government. If it was the Gujarat High Court which on Tuesday quashed the charges of waging war filed against 22-year-old Patidar quota leader Hardik Patel, two days earlier on Monday, Vipul Chaudhary who had been pushed out as chairman of the powerful Mehsana district, Dudhsagar dairy swept the polls and is expected to be reinstalled soon. 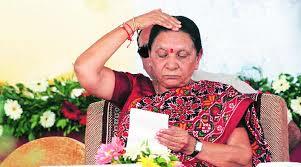 Both developments constitute a setback for the Gujarat chief minister on the eve of results to the local self government elections in the state which is seen as a semifinal encounter before the all important State Assembly elections in 2017. The Anandiben Patel government had left no stone unturned to keep both Hardik Patel and Vipul Chaudhary out of circulation. On Tuesday, Justice JB Pardiwala waived the charges of waging war against the government filed by the the Gujarat Police against Hardik Patel and his five associates. But retained the sedition case against them. He directed removal from the FIR of IPC sections 121(waging war against the government),153A(promoting enmity between different communities) and 153B (assertion prejudicial to national integrity).The court, however, turned down plea to drop IPC,section 124(conspiracy to wage war against the government. Babubhai Mangukia, Hardik’s lawyer who spoke to mediapersons thereafter said that the Court ruling would clear the way for obtaining bail for Hardik and his associates who have been behind bars ever since the charges were slapped. Hardik was picked up by the Rajkot police on October 18 and subsequently the cops have been passing him on to each other under different jurisdictions with the aim of keeping him behind bars until the local self government elections get over. Lawyer Mangukia said that he has already moved the plea for bail in the lower court. In the case of Vipul Chaudhary, both the erstwhile chief minister Narendra Modi and later his successor Anandiben Patel had pulled out all stops in a desperate bid to remove him from important positions in the milk cooperatives. Though belonging to the BJP, Chaudhary ran foul of the ruling dispensation after his presence was noted at a press meet addressed by Congress vice-president Rahul Gandhi in Ahmedabad. In the period thereafter, Chaudhary was unceremoniously ousted from the chairmanship of the Gujarat Cooperative Milk Marketing Federation (GCMMF), the apex marketing body of milk cooperatives in the state grossing an annual turnover of over Rs20,000 crores through a no-confidence motion. Subsequently, he was also removed from the chairmanship of the Dudhsagar dairy, Mehsana, through a notification issued by the registrar of cooperatives who also debarred him from contesting elections for the next three years. However, Chaudhary knocked at the doors of the supreme Court which removed the bar on his contesting elections. In the elections to the dairy cooperative held subsequently, Vipul Chaudhary and three of his supporting members were re-elected uncontested from Mansa while his panel won 13 of the total 16 seats routing the official BJP panel which was headed by Ashok Chaudhary, the general secretary of the Mehsana district BJP.in both the case of Hardik as well as Vipul chaudhary, the state government had gone out of it’s way to make them issues of prestige. Now all eyes are set on the local self government election results of Gujarat on December 2.